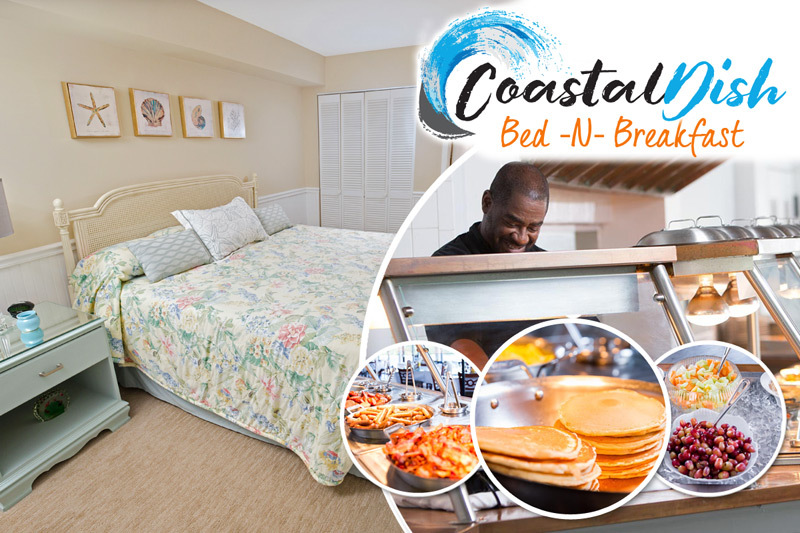 Looking for something unique and totally Myrtle Beach during your next beach vacation? Stop by any of these specialty shops for the perfect souvenir to take home. From t-shirts to home decor to cherished keepsakes, you will love the items these shops have to offer! The Gay Dolphin Gift Cove is a time-tested treasure found along Ocean Boulevard in downtown Myrtle Beach. Located between the Burroughs and Chapin Pavilion grounds and the Myrtle Beach SkyWheel, you'll find this multi-level souvenir shop to be filled to the brim with everything from practical jokes to personalized keychains to large decorative pieces to sea shells of every size, shape, and color. This shop has been a part of the Myrtle Beach scene since 1946, and it is the perfect spot to pick up a range of affordable souvenirs during your beach getaway! Though its exterior appearance may be unassuming and humble, once you step inside the walls of Shell World, prepare to be dazzled by a collection of sea shells, shark's teeth, sand dollars, and much more. You can also find t-shirts and items like jewelry boxes adorned with sea shells. If you're looking for a new shell for your pet hermit crab, you will definitely be in luck when you shop at Shell World! Visit this unique shop during your visit to Myrtle Beach! This self-proclaimed most unique gift shop in Myrtle Beach can be found at Broadway at the Beach, as well as Barefoot Landing. Inside, you will find a wide-range of gifts, including jewelry from Pandora and Swarovski, collectibles from Precious Moments and Rock Mtn. Rustic, as well as items from Willow Tree, Snowbabies, Brighton, and much more. You're sure to find a unique gift for yourself or someone you love during your Myrtle Beach vacation! Visit Tiki Jim's for plenty of great souvenirs to take home after visiting the Grand Strand! With three locations in the area, you can find this shop at Broadway at the Beach, Coastal Grand Mall, and Barefoot Landing. Known for funny t-shirts, magnets, and other unique gifts, there's no telling exactly what you'll discover when you step into Tiki Jim's. The store is filled wall-to-wall with t-shirts for every profession, interest, and preference, so there's surely something for everyone in your group! You won't go home empty-handed when you do some shopping at Tiki Jim's in Myrtle Beach. It's not a trip to Myrtle Beach without a stop at one of the dozens of beach stores scattered throughout the Grand Strand. Just take a drive or walk down Kings Highway or Highway 17 to find numerous shops, including Bargain Beachwear, Eagles Beachwear, Wings Beachwear, and Pacific Beachwear. Shoppers can expect to find towels, hats, beach clothing, swimsuits, beach toys, sunglasses, and more. Even if you decide not to make a purchase, visiting one of the many beach stores in the area should be on your Myrtle Beach shopping bucket list! Bring your family and friends along on your next Myrtle Beach vacation, where you can find hundreds of shopping opportunities, including the unique souvenir shops listed here. You are certain to find a special Myrtle Beach gift that will remind you of your vacation for many years to come! Let us know your favorite souvenir shop in our Facebook comments!